"I don't want to be part of the generation that ate it all." "I don't know if our future generations will be able to witness this fish." "The fish is part of our culture." Meet The Fish: The Ones You Should Be Worried About. have already pledged to not eat, buy or sell kawakawa or donu (grouper) June through September. Let them breed. Eat more later. There are specific fish we hope to boost the populations. Commonly they are called kawakawa and donu in Fiji. Learn a bit about why we need to help these fish (and our feasts) thrive. Kawakawa and donu breed June through September across Fiji. If we let them reproduce during those months, we will have more fish next year and many years to come. The heart of the 4FJ campaign is the people, from all walks of life, stepping up to tell the world why this fish is important to the way of life in Fiji. Here are their stories. 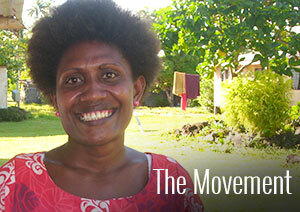 This campaign is made up of people who have made a sacrifice for Fiji's future. And we want to make sure they get properly recognized for doing the right thing. So here are our champions. This campaign is only as strong as the people who carry it forward. Whether you want to volunteer at events, bring this story to your friends and family, or just learn more, we need your help. The health of grouper fisheries is a concern across the Pacific and beyond. Scientists have taught us a lot about how to better manage these fish. So have local fishermen. Vinaka to the Fiji Times for featuring an inspiring story about our newest champion, Radike Qereqeretabua, known to many for his success as a hotelier in Fiji. Radike is also a traditional kai wai from Dravuni Island, Ono, Kadavu, which makes him particularly concerned these days about the plight of kawakawa and donu, fish that are rapidly disappearing in Fiji. Because when the leader of the Burebasaga Confederacy calls for seafood, the kai wai must be ready to supply her demands. Tavea Island fisherman Nacanieli Koroga is one of the growing number of fishermen who has taken the 4FJ Pledge not to eat, buy or sell kawakawa and donu during its peak breading season, June through September. Lance Seeto, an award-winning chef, is one of campaign champions. He wrote this column after meeting some of his fellow champions at the 4FJ website launch last week. The Ministry of Defence, National Security and Immigration, as part of its corporate social responsibility, has committed itself to not eating kawakawa or donu during their peak breeding months, June through September.